Eastern Terminus: Junction of PTH 75/Route 42 (Pembina Highway) in Winnipeg. 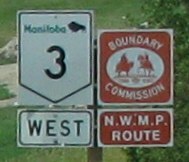 Western Terminus: Saskatchewan boundary 10 km west of Pierson in the RM of Edward. 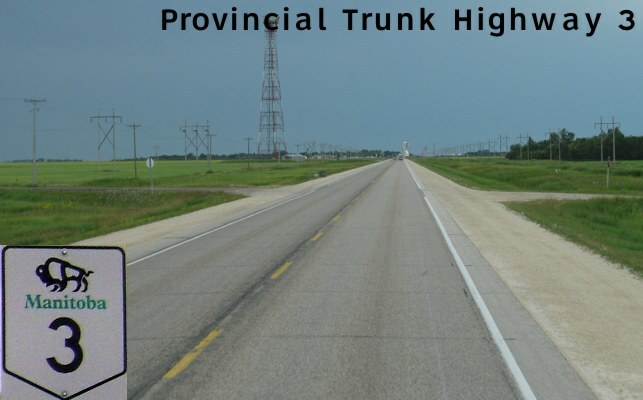 PTH 3 begins at the corner of Pembina Highway and McGillivray Boulevard in Winnipeg and begins a lengthy and circuitous course to the southwest, passing through Carman, Morden, Manitou, Pilot Mound, Killarney, and Melita, before passing into Saskatchewan west of Pierson. 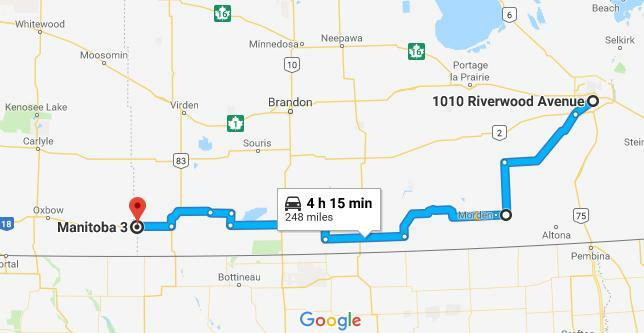 For much of its journey through the southwestern part of the province, PTH 3 follows the ceremonial Boundary Commission Trail of the North West Mounted Police, forerunner to the RCMP, and commemorative markers are present along the route at key intersections alongside the PTH 3 markers.